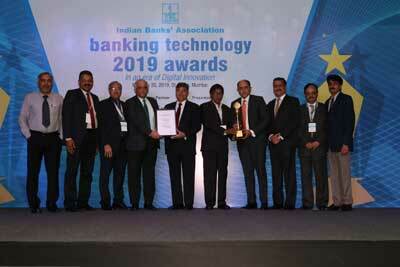 Chennai: In the IBA Banking Technology Conference, Expo and Awards, Federal Bank was awarded the title of the Best Technology Bank of the Year 2017-18 and the Bank has been adjudged runner up under the category of the Most Customer Centric Bank using Technology among small banks. The awards are presented to Federal Bank in recognition to its innovative digital initiatives, adoption of green technologies and commitment in providing high quality and consistent customer experience. Shri. Shyam Srinivasan, MD & CEO, Shri. Ashutosh Khajuria, ED & CFO and other executives of the Bank received the award at a function held in Mumbai. The Bank has set up a suite of digital banking products which serves a varied customer base.